New Disney Cupcake Cookbook, Vinylmation, and More! Erin Foster, our Disney Food for Families columnist, has a few sweet bits of news about cupcake merchandise in Disney parks and resorts! 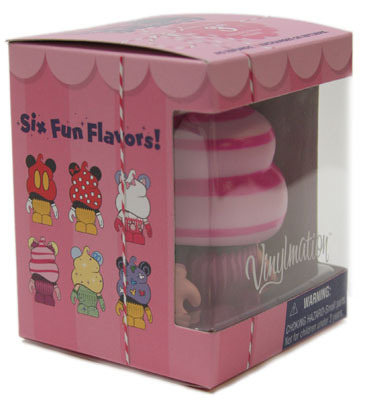 Remember those Vinylmation cupcake designs we showed you for the Vinylmation Bakery cupcakes? 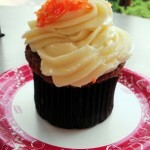 Well, now we get to show you the finished product — and a bunch of other cupcake craziness happening in Disney World! Planned to be a limited edition set, Vinylmation Bakery will now be offered as an open window box. Sweetness! 😉 While the box still recognizes it as a limited edition, there will be no production limit set for these cute Vinylmations. 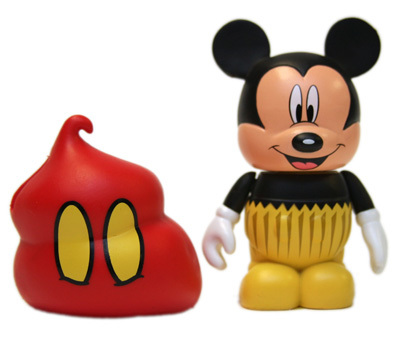 A close up look at the figures and packaging shows the adorable cupcake-y Vinylmations. Yum! The characters hidden beneath the frosting are Mickey, Minnie, Marie, the Cheshire Cat, and Tink. Yep — these will be some of the first vinyls that have removable pieces!! 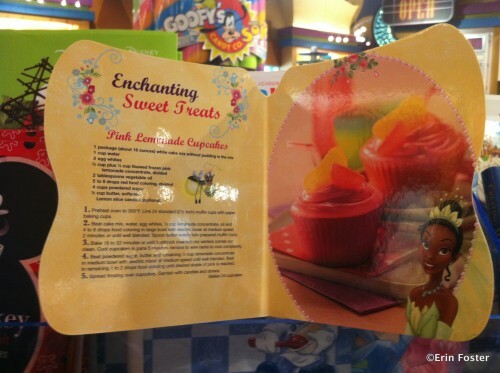 Also seen on shelves at WDW resort merchandise locations is a children’s cookbook which gives cupcake recipes and decorating tips. 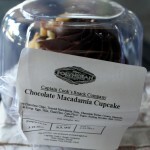 The synergy between the food, publishing, and various merchandising areas at Disney is fascinating. 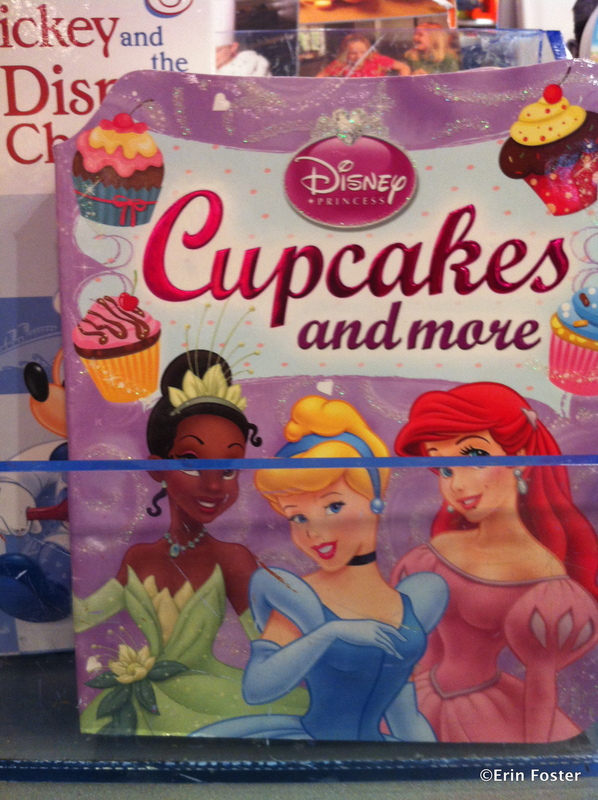 And in related news, the Disney cupcake fixation is showing up in even more merchandise areas as well. 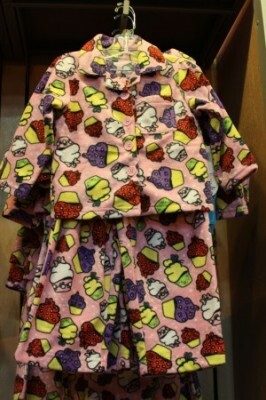 Back in January, we reported on the introduction of a spongy, marshmallow-esque cupcake candy (formerly priced at $2.95, now marked down to $.99 each) and a line of children’s clothing featuring that cupcake candy as a graphic. 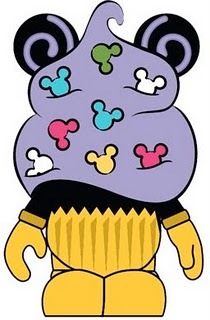 If you take a peek at the lower right illustration on the Vinylmation packaging, you’ll see it is the very same cupcake! Hiding under the Mickey-confetti sprinkles is Mickey himself – with a surprised look on his face and a purple smudge on his noggin. Ridiculously cute! 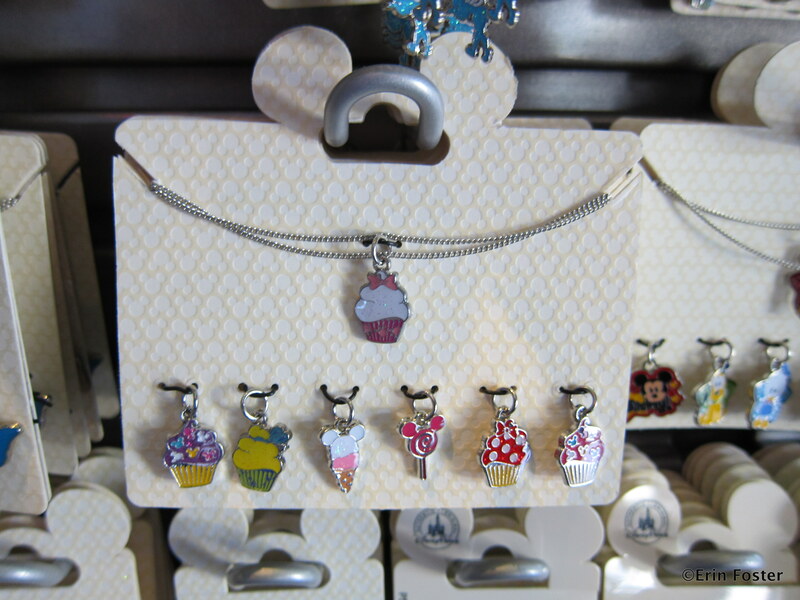 Also in shops is the same cupcake depicted on a set of Disney cupcake trading pins, and a girls’ necklace. The necklace is a plain silver chain with five interchangeable cupcake charms, plus a Mickey-shaped lolly and and ice cream cone. So what do you think folks? What’s your favorite cupcake creation? 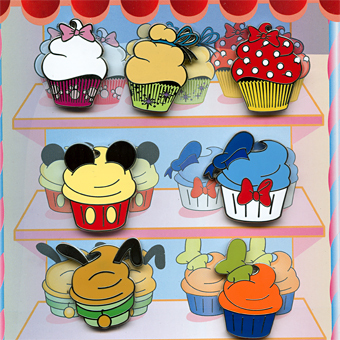 And are you like me and feeling kinda sad that there’s no Goofy cupcake Vinylmation to go along with the Goofy cupcake pin? Let us know in the comments below! 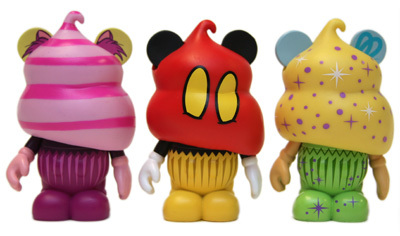 New Vinylmation Cupcake Designs Coming Soon! I love them! I hope to get the Cheshire cat vinylmation. I just love that they have the removable frosting. 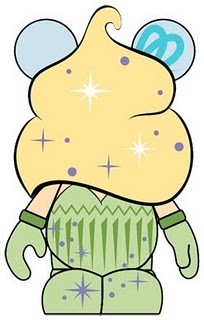 Love the Cupcake vinyls, cute in a weird way! The Confetti Mickey version is my favourite. And as I’m a sucker for jewellery I love the cupcake necklace! Emma — He’s my favorite too!!! Diane — Aw… sorry about that. There are lots more cupcakes to come, though! I just tried a bunch of great ones this weekend. For now, here are some real cupcakes for you! ah! i read this blog regularly and i had to comment on this post – i’m a HUGE cupcake aficionado and an even bigger disney fan. i hope some of this stuff is still in the parks come december! 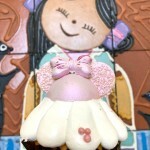 I adore the cupcake Vinylmations & love that the icing is, in fact, removable! Can’t wait to buy some during my (14 days away) trip! I don’t care if the necklace is for kids, I’m going to have to purchase that for me! Might end up changing the chain out for one of my own. 🙂 Great post! I’m a sucker for cupcakes! Oh my goodness. Seriously. I am a big baker and I need ALL those Vinylmations to decorate my kitchen! lol The necklace is seriously cute, too. I can’t wait to start a Disney cupcake collection! Thanks for the great pictures. 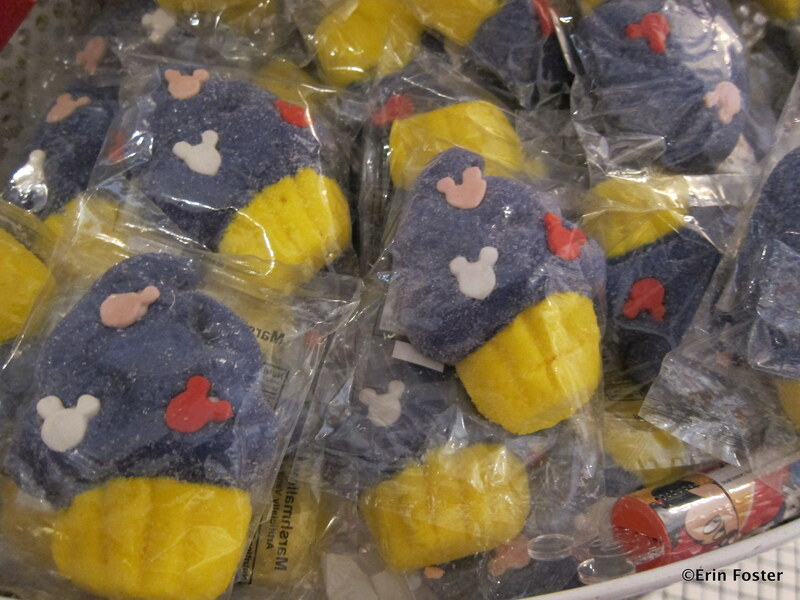 These are all just too cute♥ I love the confetti Mickey one! Great pics! That cookbook is only $10? I might need to have it for that pink lemonaid cupcake recipe alone! 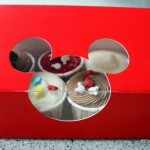 Love the cupcake Vinylmations. I was hooked when we went in March and can not wait to add a few new ones to our collection. I think the removable icing was a fantastic twist. Disney clearly gets the cupcake craze and are running with it. I need to find out how to get the cookbook since I love making cupcakes. Just made pirate themed ones for our son’s 4th birthday.